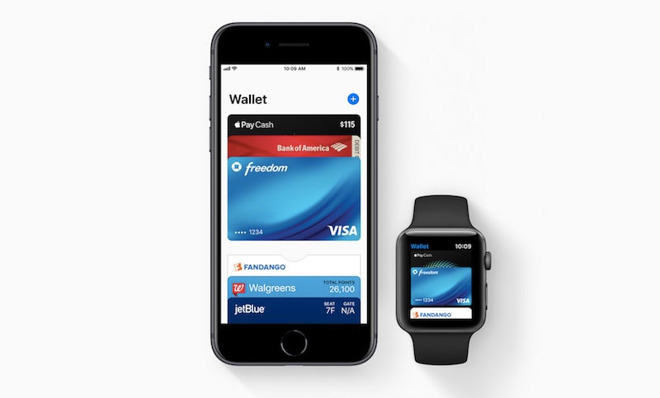 Apple has updated its roster of banks and credit unions with Apple Pay to include 26 more U.S. institutions, filling in a shrinking number of coverage gaps. As has become standard, all of the additions are regional rather that national, sometimes based around a single city. Most national card issuers were onboard within the first year of Apple Pay's Oct. 2014 launch. In the U.S., Apple Pay's biggest obstacle is merchant support rather than card issuers. While the platform is said to be accepted at half of the country's stores, major chains like Walmart and Target are conspicuously absent. Apple is meanwhile continuing international expansions, one of its next targets being Brazil.